BP plc (ADR) (NYSE:BP) is looking towards slashing headcount of its workforce amidst challenges brought about by oil price slump, with its non operations-staff and back-office employees to be the most likely affected in the company’s efforts to reduce costs. The oil industry in general have been bracing the effects of an almost 40 percent reduction in oil prices since summer of this year. 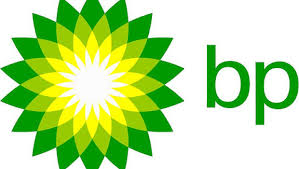 BP plc (ADR) (NYSE:BP) has been cutting on staff since the oil spill in the Gulf of Mexico way back in 2010. According to the company, there have been official plans to downsize company headcount, but the oil price reduction is the determining factor in the current efforts to speed up implementation of such plans. BP counts a global workforce of 84,000 employees, with 15,000 of them based in the U.K., and about 20,000 in the U.S.
BP plc (ADR) (NYSE:BP) is expected to announce by Wednesday the jobs that will be particularly affected at its London offices, as well as several back-office jobs. BP CEO Bob Dudley is aiming to restructure the company by ending duplication and is set to meet with City investors to elaborate how the cuts will translate into substantial savings. The company is specifically looking to trim staff in its communications, legal, and procurement units. The company don’t require its back-office workers now even as it has been through a 50 percent reduction in its offshore fields and pipelines, as well as a 30 percent reduction in its wells. It has also sold assets estimated to be worth $40 billion to defray costs resulting from the Deepwater Horizon accident. Payments associated with the accident has reached up to $20 billion as of September, according to BP. The company puts third quarter replacement cost profits at $2.4 billion as of October, a significant decline from $3.2 billion for the same period the previous year.